With its recent membership of the UK’s leading renewable energy trade association, RenewableUK, Fellows has opened up a new market of business opportunities. As more renewable energy solutions are constructed, the potential to encounter the threat of unexploded ordnance is significant. As a part of the renewables community, Fellows is ideally placed to offer its expert advice for dealing with Marine Unexploded Ordnance (MUXO) as well as practical services to identify and clear danger zones. With membership involvement including speaking platforms, networking opportunities and database access, Fellows is now in direct contact with RenewableUK’s large established corporate membership which ranges from small independent companies to large international corporations and manufacturers. 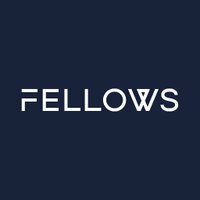 Fellows will also be visible to any external companies looking to the organisation for knowledgeable and reputable suppliers. Formed in 1978, RenewableUK aims to ensure increasing amounts of renewable electricity are deployed sustainably across the UK and to support its members in winning business in renewable markets in the UK and around the world.